Delicious Sauce - So Many Uses! 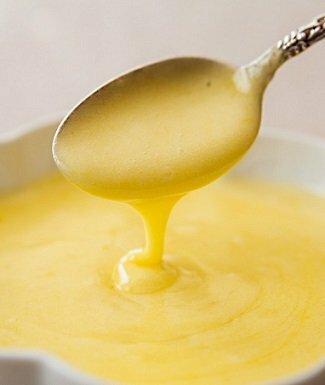 This restaurant recipe for Hollandaise Sauce can make a fabulous eating experience out of the simplest cooked eggs, vegetables, seafood or meats. The picture is as good as a 1000 words! The Hollandaise is perfect with the smoked salmon and egg breakfast. It is called a smoked salmon Benedict and it is absolutely wonderful. And if you are a carb - counter, this sauce recipe will work into your diet just fine. Note: There is another recipe for this sauce on the website that allows you to use a blender if you have one. Using a round bottom stainless steel bowl over a pan of simmering water, beat egg yolks with wire whip and add the boiling water very slowly while continuing to whip. 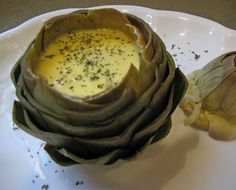 That's all there is to it but you'll be pleased with the taste of the restaurant recipe for Hollandaise Sauce and its many uses. 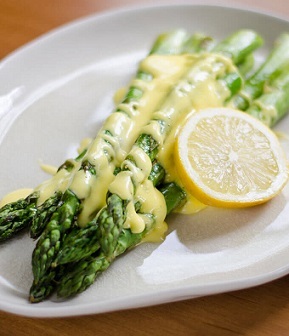 Enjoy your Hollandaise and the company of those you share it with.